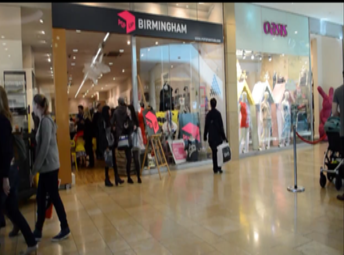 We're delighted to announce that we have teamed up with Pop-up Britain to rent prime retail space in one of the UK's biggest shopping centres, the Bullring in Birmingham. Our pop-up store opens during the busy Easter week at 10am on Tuesday 15th April in Middle East Mall, located in-between Next and Oasis stores. 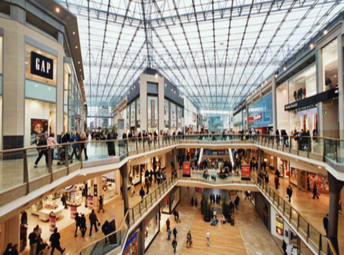 Bullring, home to Selfridges in the Midlands, is one of the UK’s most successful shopping destinations with an average annual footfall of 38m. Calling all petite ladies who have been waiting for the opportunity to try before they buy from Jeetly, here is your chance to touch and feel the products we have to offer. As the first collaborative apparel brand for petites in the world, Jeetly is proud to bring more choice of premium petite clothing to the High Street. 'Collaborative' means our customers have co-designed each item of clothing with us and have determined which styles get produced for retail. We are a brand of perfectly proportioned clothing designed by petites for petites, giving real petite women a voice in the fashion industry for the first time. 1. We will be conducting a free style workshop at 12.30pm daily for all petite women looking for advice on how to dress for work. 2. All our products will be discounted by 20% in-store only; a further 10% discount will be given to all shoppers who sign up to our newsletters - that's 30% off all items! 3. We are searching for our next petite model to model our new collection at our upcoming photoshoot and invite all interested candidates to visit us in-store for a fit check. Applicants must be between 5'0 and 5'3 tall and a UK size 6-8. The winner will get a free commercial portfolio of shoot images with all expenses paid for by Jeetly. 4. We will showcase our exclusive design samples for 'In-or Out' voting in-store, bringing our revolutionary online retail model directly to the customer on the High St, for a truly interactive shopping experience. 5. Finally we are running a competition for best 'corporate fashionista' to win a £200 spending spree on www.jeetly.com. To enter the competition, you need to try on one Jeetly product in our changing rooms and take a photograph/selfie in your Jeetly outfit. We will keep photos anonymous with head shots removed on request. All we ask is that we can upload your images on our website and across our social media profiles. The winner will be selected on 30th April and informed by email. 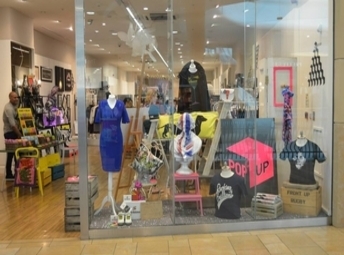 We're delighted to announce that we have teamed up with Pop-up Britain to rent prime retail space in one of the UK's biggest shopping centres, the Bullring in Birmingham. Our pop-up store opens for 2 weeks on the following dates: 15th April till 22nd April and 6th May till 13th May 2014. We are located in Middle East Mall, in-between Next and Oasis stores. Bullring, home to Selfridges in the Midlands, is one of the UK’s most successful shopping destinations with an average annual footfall of 38m. 1.All our products will be discounted by 20% in-store only; a further 10% discount will be given to all shoppers who sign up to our newsletters - that's 30% off all items! 2. We are searching for our next petite model to model our new collection at our upcoming photoshoot and invite all interested candidates to visit us in-store for a fit check. Applicants must be between 5'0 and 5'3 tall and a UK size 6-8. The winner will get a free commercial portfolio of shoot images with all expenses paid for by Jeetly. 3. We will showcase our exclusive design samples for 'In-or Out' voting in-store, bringing our revolutionary online retail model directly to the customer on the High St, for a truly interactive shopping experience.